In best university in punjab and in top universities in India, Desh Bhagat University arranged a religious congregation to make the society free from Drugs, Social Evils and Illiteracy. A large number of people of surrounding areas, students, teaching and non teaching staff of the university attended it. On this occasion, Sant Baba Bhupinder Singh Ji (Rarha Sahib Jarg wale) graced the event by delivering valuable thoughts about moral character, responsibility, values and Indian traditions. The Saint prayed for World Peace and Human Brotherhood in the country and the world as well. He encouraged all present, especially the youth, to keep away from all kinds of drugs. 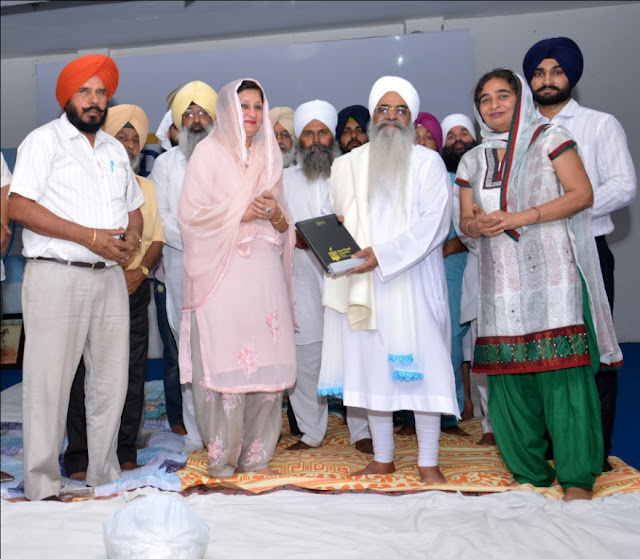 Giving references from the holy Sri Guru Granth Sahib , Sanatan Dharam Shastra and from the life of Sri Guru Nanak Dev Ji, he advocated for an honourable place for the women folk. Calling upon the youth to contribute towards the progress of the country and making the country free from drugs and motivated all present to rise against all types of social evils, he said that the youth are the future of the country and they should be fully aware of their responsibility. While welcoming the Saints and all other devotees, university Pro-Chancellor Ms. Tajinder Kaur expressed that the Desh Bhagat University endevours to bring social equality through education and is moving ahead in this direction with sincerity. University Chancellor Dr. Zora Singh said that the objective of this programme is to make the youths aware about the evils like drug addiction, social evils and other bad things prevailing in the society. He urged students and staff to work wholeheartedly for developing such a mind-set in the society that no woman feels unsafe and none is exploited or oppressed. 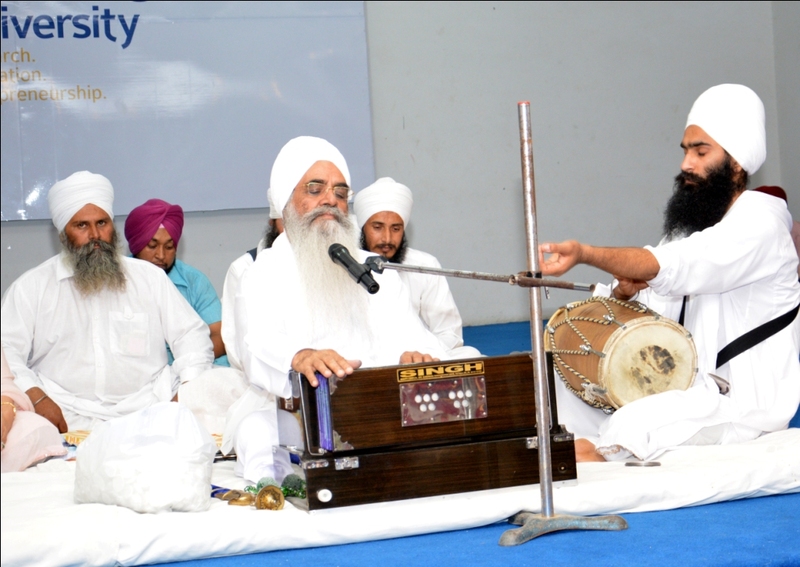 The Kirtani Jatha presented soul-warming recital of Baani. University Vice-Chancellor, Pro Vice-chancellor, Registrar and Directors from different faculties were also present on the occasion.